Please provide full name (max. 3), service branch, and years of service for engraving. THE MEMORIAL DISPLAY: Provides a powerful setting for this unique tribute to HONOR THE SERVICE OF ALL WHO GAVE AND THOSE WHO GAVE THEIR ALL! 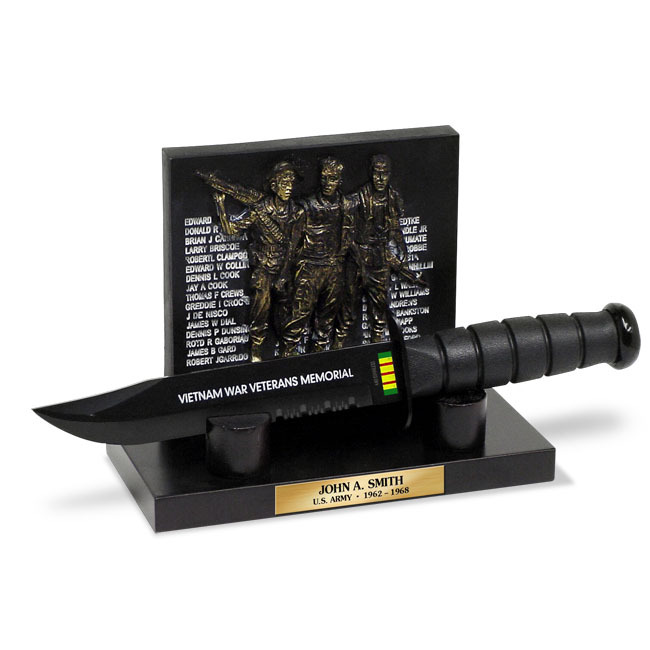 THE KNIFE: The blade is Stainless Steel boldly inscribed with the words “VIETNAM WAR VETERANS MEMORIAL” and features the Vietnam Service Ribbon in Official Colors. The knife is an impressive 11.75” in length. A compass tops the knife handle. THE PERSONALIZED NAMEPLATE: For those who wish, we will engrave a name, service branch and years served to honor you or a loved one for just $15 additional, which you may affix to the display base. THE PRICE: Just $49.95. plus $9.95 shipping & handling. OUR 100%GUARANTEE: You may return your Memorial Knife within 30 days if not completely satisfied. So, order your Vietnam Veterans War Memorial Knife today! 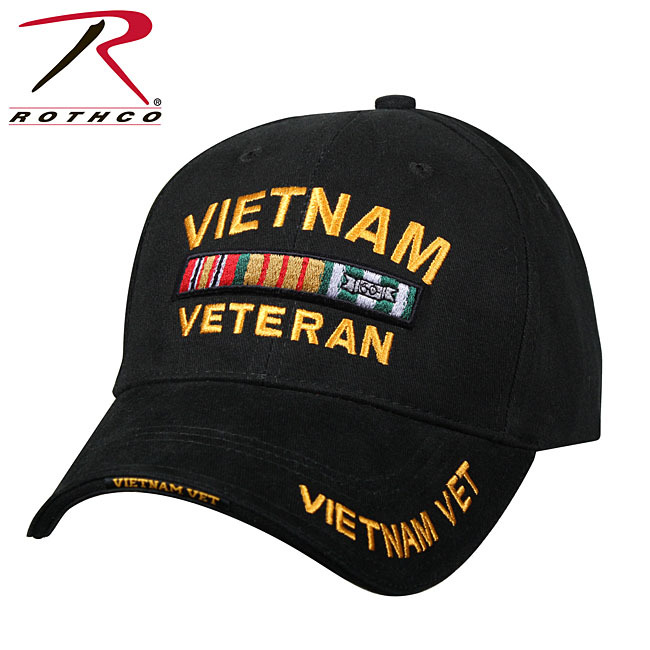 ADD A “VIETNAM MEMORIAL" TACTICAL KNIFE TO YOUR PURCHASE FOR JUST $19.95! SAVE $10 PLUS NO EXTRA SHIPPING. The National Vietnam Memorial encompasses over two acres for our citizens and the world to gather in honor of all those who were lost in this terrible conflict. The Memorial began with the dedication of the Vietnam Memorial Wall on November 13, 1982. The Three Soldiers Memorial Sculpture was created and dedicated on November 11, 1984, as was The Woman’s Memorial sculpture on November 11, 1993.